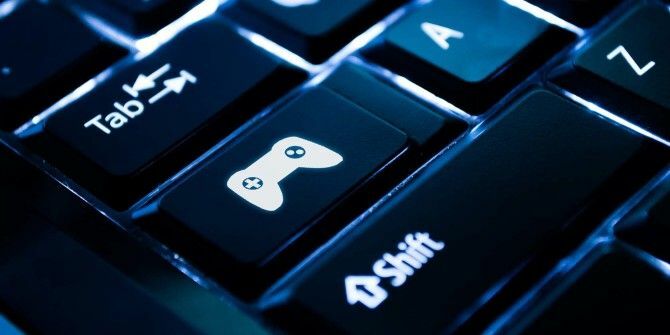 If you play a lot of online multiplayer games, then you should be aware that many game developers are failing to keep your information safe Are Video Game Developers Taking Online Security Seriously? Are Video Game Developers Taking Online Security Seriously? Read More . Therefore, it’s up to you to make sure that your accounts remain hard to hack. 1. Never share your passwords. This is the most common culprit in gaming-related account breaches. Even if you trust your best friend, don’t give it away. You never know who they might tell, or worse yet, what they might do if your friendship ever weakens. Also, always use a memorable but unbreakable password 6 Tips For Creating An Unbreakable Password That You Can Remember 6 Tips For Creating An Unbreakable Password That You Can Remember If your passwords are not unique and unbreakable, you might as well open the front door and invite the robbers in for lunch. Read More and never repeat passwords Change Your Bad Habits & Your Data Will Be More Secure Change Your Bad Habits & Your Data Will Be More Secure Read More across games. I just got hacked early in the morning cuz someone used my money! On Playstation! 3. Don’t engage in shady activity. This means no gold selling Make Money Gaming: 5 Games You Can Get Paid to Play Make Money Gaming: 5 Games You Can Get Paid to Play If you could make a living by playing video games, would you do it? Thousands of people do it every year with these video games. Read More , no account trading, and no weird third-party sites (like gambling sites for EVE Online and Counter-Strike: Global Offensive). Some activities may seem legit, but often these websites play the long con and catch you off guard. Have you ever been hacked? What did you do? Got any gaming security tips to share? Let us know in the comments! Explore more about: Multiplayer Games, Online Security. Probably the BEST tip these days: two factor authentication. Most major gaming services offer it. It's not an excuse to go lazy on the other three tips, and it's not 100% foolproof, but it's probably the best thing you can do to keep your accounts safe. Yes for sure, two-step verification is really good to have. I'm glad more services are implementing it now. Hopefully it will become an industry standard soon. You can NEVER EVER be certain that somethibg connected to the internet is unhackable. In fact, you can be certain that anything connected to the internet IS hackable. Its all a matter of time. And no matter how much you try to secure something, tgere will always be tenatious people out there who knows more about security than you do. I agree. sounds have been hacked more than 3 * sorry. I have already tried using incognito pages, change my password, deleting my house, taking my battery is some gardening putting it back in common games reinstalling number, and so much more but the truth is I'm still had my google account is my facebook account my yahoo account if poker game today play all the other games and is nothing I can do about it.